You’re dining in a Parisian hotel restaurant described as one of the finest in the world when a boy, bored to death with his parents, gets down off his seat and stands in the way of the waiters, one of whom almost trips over him. The waiter asks the boy to return to his seat. The boy refuses. The waiter, a young black man, tries to shepherd the boy back to his table. On seeing this, the boy’s father gets up and punches the waiter in the face. There is a stunned silence but none of the diners does anything. Would you? 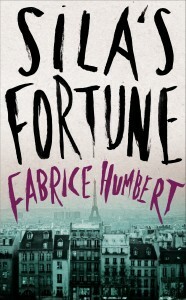 The principal characters of Fabrice Humbert’s novel, Sila’s Fortune, newly translated from the French by Frank Wynne, are all present in such a restaurant and the assault becomes a pivotal moment in their lives. 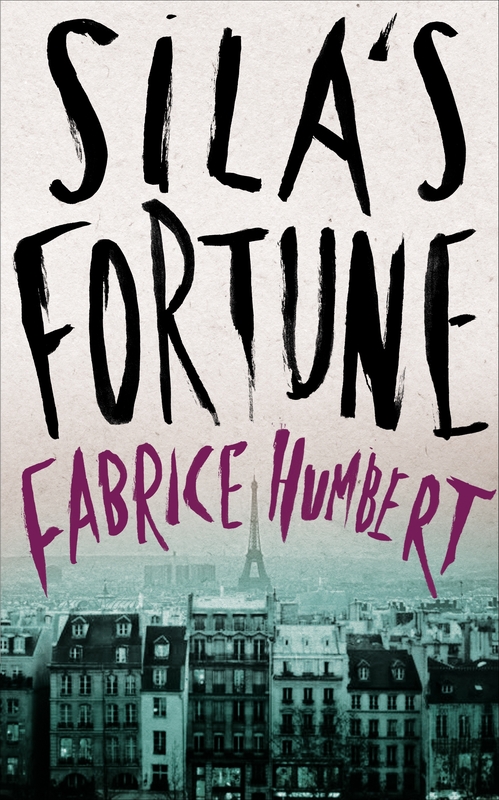 Moving freely between his characters’ back stories and their subsequent lives, Fabrice Humbert brilliantly weaves their various narratives into a panoramic tapestry of the crazy financial world of the years leading up to the 2008 crash. The waiter’s attacker is Mark Ruffle who, having failed to make it as an American football star, is determined to outdo his property tycoon father in terms of wealth. He uses the ruthlessness and brutality he demonstrated in the restaurant to amass a fortune selling sub-prime mortgages to the poor who have little chance of ever repaying them. However Mark’s violence and his aggressive money-making alienates his wife Shoshana who later tries to make amends for her husband’s behaviour by befriending Sila, the waiter he punched. Elena, a university literature teacher and an expert on Balzac, the first great chronicler of capitalism, realizes that the non-intervention of her husband Lev Kravchenko is a sign that his accumulation of vast wealth, following the dismemberment of the Soviet Union, has made him indifferent to the fate of others. She eventually separates from him and sues him for half his considerable fortune. Matthieu and Simon are in the restaurant celebrating Simon landing a job, at three times his present salary, with a London-based investment bank. Simon is a meek mathematician living in the shadow of his brasher flatmate, Matthieu, who works in PR. As they walk home Matthieu surmises that they might be better off having the assailant’s same obsession with power and property – ‘the absolute need to assert yourself. To mark your territory. To be less human and more animal.’ Simon doesn’t agree but his mathematical skills are used by his new employer in accordance with Matthieu’s observations. Sila, the waiter, is an illegal immigrant from a war-torn, presumably African, coastal town which is gradually being choked by sand. When Sila inadvertently insults a military leader he has to flee from the city. He stows away on a freighter but is discovered. The captain tells him he will be thrown overboard, the usual fate of stowaways. Sila is saved by the intervention of the ship’s cook who needs someone to help him. Another fortuitous meeting takes him from being an exploited illegal immigrant, working as an under-paid washer-up, to being a well-paid waiter in a top Parisian restaurant with the right to stay inFrance. Some months after the assault Sila moves toMiami in the United States where his Parisian employer has another restaurant. And that’s where his good fortune runs out. Fabrice Humbert writes with great authority. His detailed accounts of Lev Kravaschenko’s and Mark Ruffle’s acquisition of their fortunes in the very different circumstances of post-Soviet Union Russia and the Miami poor are both totally convincing. Similarly his account of Simon working for a London bank as a quantitative analyst (quant) during the boom years of the 90s and early twenty-first century rings true. The author never allows the prodigious amount of research which must have gone into the writing of the book to overwhelm his characters. Lev, Elena, Mark, Shoshana, Matthieu, Simon, Sila and other minor characters all come across as credible people rather than the stereotypical products of research. Sila’s Fortune is an epic, complex, extremely readable novel of an era in which the accumulation of great wealth became divorced from the provision of human needs.